- GBP hands gains back to the Euro after parliament deadlocks again. - Four separate forms of "soft Brexit" rejected by House of Commons. - Odds of long Brexit delay increase, but so are odds of an election. - Markit manufacturing PMI surges in March, bodes well for Q1 GDP. 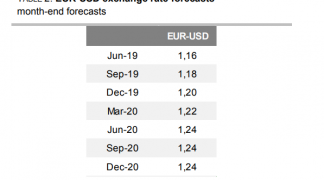 - GBP to remain in familiar ranges for now says ING Group FX team. Pound Sterling fell sharply against the Euro and Dollar after the House of Commons failed for a second time to produce a majority in favour of any form of "soft Brexit" on Monday, April 02 and we hear the currency is likely to maintain a sombre tone over coming days as the April 12 Brexit deadline comes into focus. The Pound had actually been trading higher against its rivals ahead of a series of indicative votes in parliament that ultimately intended to deliver a 'softer' Brexit. What appears to have excited Sterling bulls were suggestions ahead of the votes that Downing Street could pursue any 'softer' Brexit plan that received the backing of parliament. Until this point the government had made clear it would not be bound by the outcome of any indicitave votes, and currency markets therefore welcomed the apparent u-turn as it provided a strong hint the UK was finally heading for an orderly, and 'softer', Brexit. But, members of parliament rejected by narrow majorities all four options put to them on Monday, including a customs union, a "common market 2.0" plan, another referendum and a fourth plan (G) that advocated for the revocation of the Article 50 notification that set the exit process in motion. The Speaker has announced the results for today's #IndicativeVotes2. The votes came as opposition and rebel Conservative MPs seized control of the parliamentary agenda Monday, helping themselves to another series of "indicative votes" and a second attempt at asserting themselves on government. . The inability of parliament to get behind a 'softer' Brexit option and help provide some much needed progress on Brexit clearly disappointed a market that was become increasingly bullish on the currency's prospects. Following the votes, the Pound-to-Euro rate was seen just 0.09% higher at 1.1649, having pared back from an earlier whopping 0.80% gain. It's now up 5% for 2019, but has been higher in recent weeks. Despite the decline following the votes, the exchange rate recently broken above the 1.16 top of a long-term range and therefore still retains a positive technical bias. Above: Pound-to-Euro rate shown at weekly intervals. But, we don't expect any significant advances now that the April 12 Brexit deadline is fast approaching and there is still no deal available, and if anything, downside risks are growing. "GBP may dribble lower as it’s status quo with one day less until the April 12 deadline," says Elsa Lignos, head of FX strategy at RBC Capital Markets. "The closer we get to April 12 (and the higher the perceived risk of no-deal exit), the more likely it is that a no-confidence vote or something else will happen to break the stalemate." Meanwhile, the Pound was 0.06% higher at 1.3034 against the U.S. Dollar after paring back an earlier 0.79% gain: but it's still up nearly 3% for 2019. The exchange rate has been trapped with a 1.30-to-1.33 range for much of the last month. "Cable to continue trading a 1.30-33 range near term, trapped by the positive of the indicative votes versus the negative of the Tory party tearing itself apart and dangerously threatening a general election," says Chris Turner, head of FX strategy at ING Group. Above: Pound-to-Dollar rate shown at daily intervals. Politics aside, the UK economy provided some good news for the Pound at the start of the new week. Pound Sterling was buoyed Monday by the latest IHS Markit manufacturing PMI, which showed activity in the sector picking up sharply during the recent month. Economists say it bodes well for first-quarter GDP numbers. "Stockbuilding ahead of Brexit undoubtedly flattered the manufacturing PMI in March. Nonetheless, the manufacturing sector should support GDP growth in Q1. 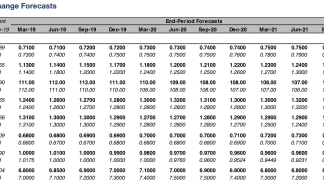 And the increase in the employment and new orders balances provide reason to think that some of the strength of the survey could be sustained beyond the 12th April, unless there is a no deal Brexit at that point," says Andrew Wishart, an economist at Capital Economics. Time to move your money? Get 3-5% more currency than your bank would offer by using the services of foreign exchange specialists at RationalFX. A specialist broker can deliver you an exchange rate closer to the real market rate, thereby saving you substantial quantities of currency. Find out more here. Parliament failed last week to find a route forward after eight different ideas were put to MPs and none managed to secure a majority, while Monday's votes have shown that cutting the choices by half is not enough to produce a majority for a 'softer' Brexit either. Prime Minister Theresa May's EU Withdrawal Agreement was also rejected for a third time on Friday, although there is speculation she will try to force a fourth vote this week. It's not clear whether the Speaker would allow such thing to happen or how Monday's votes would impact that plan. "Last week’s vote failure means that the risk of a No Deal Brexit is still a clear and present danger on the 12th of April, which would be the most negative near term outcome for the pound," says Lee Hardman, an analyst at MUFG. "If no clear path forward emerges this week from the indicative votes, it appears the most likely outcome would be for PM May to seek a long extension to Article 50. It has been speculated that the duration of this extension could be 1-2 years"
344 MPs voted against the withdrawal agreement on the third asking this Friday while 286 supported it, meaning it was defeated by a majority of 58. 277 Conservative Party MPs voted in favour of the agreement, up from 235 previously, while just 34 Conservatives came out against it. Five opposition Labour Party MPs also voted against it. Now the UK's Article 50 extension will run only until April 12, at which point the PM will choose between requesting a much longer extension that would require participation in the EU parliament elections, or a so-called no deal Brexit. She has previously said the UK will not leave the EU without a deal unless there was a House of Commons majority in favour of it. May's exit plan was rejected by the House of Commons for a second time on March 12, by a majority of 149. The previous Withdrawal Agreement vote resulted in a record-breaking landslide of opposition to what is the government's signature piece of work. 432 MPs voted against the bill on January 15, with only 202 in favour of it, making for a rejection by a majority of 230 votes. Many of the withdrawal agreement's opponents object to it because of party-political reasons, but the DUP and other unionists have concerns about the treaty because of the so-called Northern Irish backstop inside of it. Were the backstop to be used in the event of a failure by negotiators to secure a solution to the Irish border in future trade negotiations the government would be forced to impose on the UK many existing and yet-to-be-made EU laws on a potentially-indefinite basis, and without any ability to influence those laws or EU institutions. The UK will also form part of the EU's customs territory. That's unless, of course, the UK is willing to allow Northern Ireland to be effectively annexed by the EU in the event the backstop is activated, in which case only Northern Ireland will be subjected to that treatment. Once May's agreement is in force, the backstop could only be circumvented through the Prime Minister of the day satisfying the EU's demands as they relate to the "integrity of the single market" and adherence to the Belfast Agreement in the next stage of the negotiations. Such a structure could be said to create an incentive for the EU to remain perpetually unsatisfied with UK proposals for the future relationship. This is why many MPs have expressed deep-seated opposition to the EU Withdrawal Agreement and some have even gone so far as to describe it as a trap. Even if the withdrawal agreement had been approved on Friday there would still need to be another fractious parliamentary process this week, where opposition MPs would have another opportunity to express their views on the orphaned future relationship declaration. Both must be approved in the House of Commons for the withdrawal agreement to be ratified, which would then enable the UK to leave the EU and immediately enter a so-called "implmentation period", but only the withdrawl agreement itself needed approval Friday to meet conditions set out by the European Council on March 22. A Tory thrashing in local elections should focus minds on the British Pound says a leading foreign exchange analyst we follow. 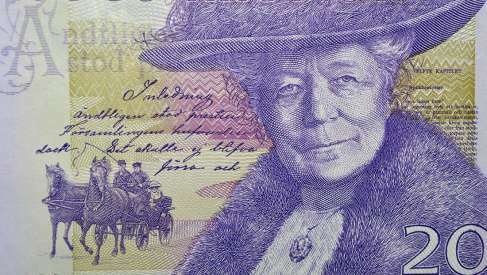 The Swedish Krona weakened over a percent on Thursday after the Riksbank decided to hold the refinancing rate that it offers to banks unchanged at –0.25%, with a view to keeping the rates 'lower for longer', in line with sluggishly low growth and inflation. Gains by Sterling on news of May's reprieve ultimately proved short-lived and we are told by a number of currency analysts that markets will remain nervous of holding Sterling amidst growing concerns that the ongoing Brexit impasse and delay are damaging the economy, we are told. The British Pound and Euro remain under pressure against a resurgent U.S. Dollar at the mid-week point of a holiday-shortened week, but a big breakout in the UK currency is imminent we believe as domestic political pressures continue to build.